James Cunningham Gordon Kirkpatrick was born on 15 February 1891 at Kincraig, Belfast, son of linen merchant John Johnston Kirkpatrick and his wife Cecilia (nee Gordon). 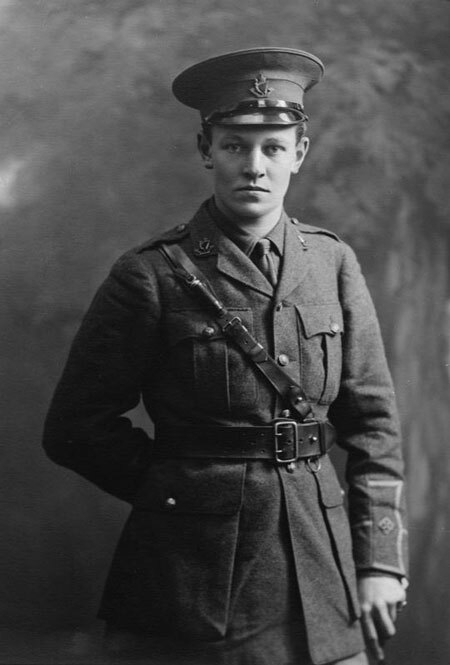 Educated at Uppingham School, he applied for a commission on 8 August 1914. A week later he was appointed as a 2nd lieutenant and posted to the North Irish Horse. He embarked for France with D Squadron on 1 May 1915. On 1 July he was promoted to the rank of lieutenant, and on 16 January 1916 to captain. Hon. A. Hamilton Russell is my sqdn leader. 2nd in command is Major Holt Waring. We are having great races here one day. A horse of mine (charger) against another charger of Kirkpatrick’s. I think you might call both racers, as what else they would be good for I don’t know. Adair is riding mine as he made the bet provided I agreed, so of course I did. It’s over a mile course for £2-10s. Also a few side bets!!! Then we are going to race a few troopers. 4 of my troop (owner’s up) against 4 of Kirkpatrick’s. D Squadron diary references to Kirkpatrick include his going up to the trenches near Martinsart with a party of officers and men on 29 July 1915, leading parties to the trenches in October 1915 and March 1916, and attending a Hotchkiss gun course in April. On 7 September 1916 he was on a riding exercise behind the lines when his horse fell, throwing him and causing a fracture to his right shoulder. Following a period of recuperation he rejoined the regiment at Antrim on 17 January 1917, and three months later returned to France. However the injury continued to cause him trouble and he returned to the UK in October 1917, a medical board later recommending that he be struck off. Despite this, Kirkpatrick returned to France in June 1918 and was posted to the 1st North Irish Horse Regiment. In August 1918 he was put in command of A Squadron, then D Squadron in October. The regiment played an active role in the 'Advance to Victory' offensive from September to November. Kirkpatrick was later Mentioned in Despatches. He was demobilized on 12 February 1919 and relinquished his commission on 1 April 1920. Captain Kirkpatrick died in London in June 1970. Image one (incorrectly labelled as E.G. Kirkpatrick) courtesy of the Imperial War Museum, Catalogue No. HU 123617 http://www.iwm.org.uk/collections/item/object/205302499. 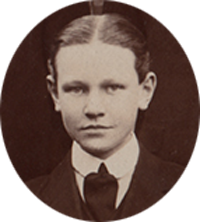 Image 2, from a picture of the boys in his boarding house at Uppingham in 1909, courtesy of the Uppingham School Archive.